Congratulations Mohd Faiz Subri for winning PUSKAS award. 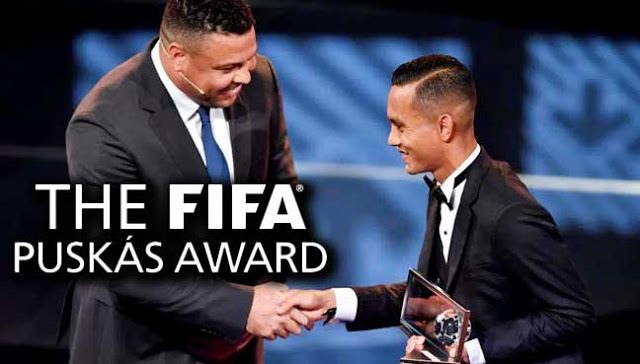 The Malaysian striker was honoured at the Fifa Best Awards earlier in the week, beating the likes of Lionel Messi and the Brazilian superstar. Subri said: “Believe me or not, I have hit the ball in the same way as I always do. But this time I think I’ve been a little bit lucky, the ball took that strange trajectory. Nobody in the Bandaraya Pulau Pinang Stadium could have imagined the trajectory of the ball as Subri stepped up to take the set-piece some distance away from goal, far over to the left-hand side of the pitch. The diminutive No13, a prolific scorer in the Malaysian Super League, hammered his effort goalwards, producing a swerve so wicked that goalkeeper Mohd Nasril Nourdin stood no chance. The breath-taking strike earned the Malaysian forward the 2016 FIFA Puskás Award, with Brazilian Marlone in second place and Venezuelan Daniuska Rodriguez in third. 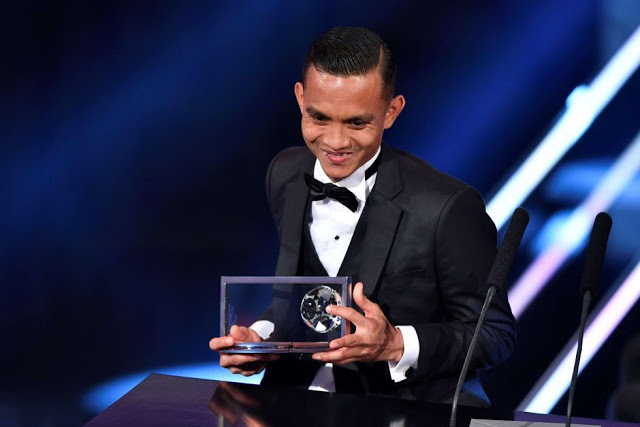 Subri becomes the latest player to collect this award after Cristiano Ronaldo (2009), Hamit Altintop (2010), Neymar (2011), Miroslav Stoch (2012), Zlatan Ibrahimovic (2013), James Rodriguez (2014) and Wendell Lira (2015).